The 15702 is 1/4 in. OD Synflex 1300 tubing that has a high-density polyethylene (HDPE) jacket, overlapped aluminum tape, and ethylene copolymer liner. The aluminum layer limits diffusion of gases through the wall of the tube, making it the best option for delivering sample air from an intake to a gas analyzer. Does the tubing for an AP200 have to be bought from Campbell Scientific? No. The tubing can be purchased from another vendor. When making a purchase, remember that Campbell Scientific recommends Synflex 1300, ¼ in. outer diameter (OD) tubing for the AP200. What is the recommended tubing for an AP200? Can standard polyethylene tubing be used for an AP200? Campbell Scientific recommends the durable polyethylene jacket and aluminum wrap of the Synflex 1300, ¼ in. 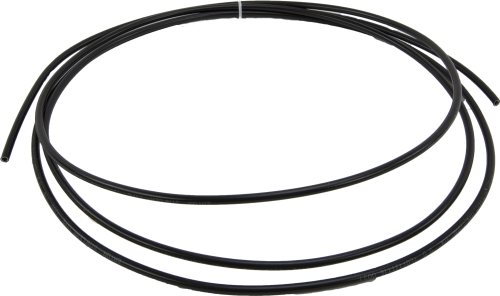 outer diameter (OD) tubing (pn 15702). Standard polyethylene tubing, in contrast, does not have the aluminum layer and, consequently, allows some diffusion through the wall. Standard polyethylene tubing is also harder to work with. The best alternative is to use black polyethylene for UV resistance and to specify a ¼ in. OD with a 0.040 in. wall thickness.